Chetna Parbhoo started Geosemantic solutions in 2011 with the aim of using geospatial intelligence as a tool to assist companies in making important business decisions. Since 2011, she has been instrumental in building a series of products for both the mining and transport sector. 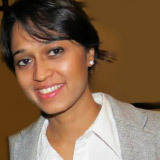 Chetna has an honours degree in Geology and a Masters in Computer Science and is a member of the Open Geospatial Consortium and the South African Institute of Computer Scientists. Jenny is responsible for leading engagements at several clients in the transport and mining industries. She is passionate about assisting companies to streamline their processes through the application of geospatial software. Previously, Jenny managed numerous water and other monitoring projects for mines throughout South Africa, Lesotho and Namibia. Jenny has a BSC honours in geology and environmental management from the University of Johannesburg and a masters in environmental management, focusing on the environmental impact of mining. 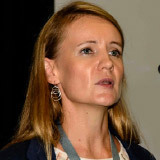 Jenny is a member of several industry organisations and has presented at industry and academic events in Africa and Europe. Mdu is an avid technologist responsible for the enterprise and technology architecture that underpins all geospatial offerings produced by Geosemantic. He has over a decade of technology consulting experience across the private and public sectors of the South African economy. 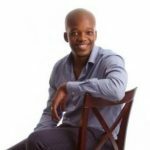 Mdu started his career as a software developer and moved into technology consulting specialising in software architecture design, integration and implementation of large-scale custom-developed software products. In addition to the technology speciality Mdu has also has global expertise in client account portfolio management, project and programme management, sales strategy and planning, pricing, forecasting as well as revenue management. ©2011 COPYRIGHT. ALL RIGHTS RESERVED.